The Jaffna Magistrate’s Court has granted permission to organise a commemoration ceremony at the University of Jaffna to remember the dead, security forces in Jaffna stated. However, the court has prohibited the displaying of the flag or the symbol of the LTTE organization at the event. The Jaffna Magistrate’s Court had issued the order with regard to the complaint filed by the Kopay Police seeking the suspension of ‘Mahaviru Day’ (Mahaveer Naal) commemoration scheduled to be held at the premises of the University of Jaffna, according to security forces. Kopay Police had requested the court order while stating that holding this event at the University of Jaffna could lead to a tense situation. Accordingly, the Jaffna Magistrate has concluded that the commemoration event is permitted to be held, however, without the use of the flag and the symbol of LTTE organization. 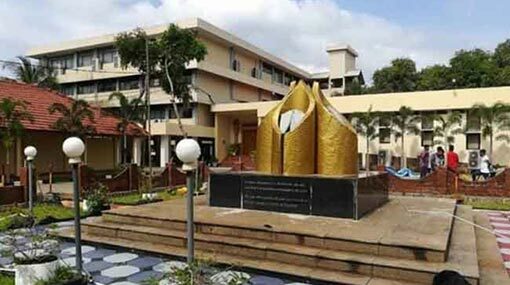 Reportedly, the students’ unions of Jaffna University have commenced establishing a commemorative cenotaph at the university premises following the issuance of the relevant court order. Commenting in this regard, former Northern Provincial Councillor M.K. Sivajilingam stated that the security forces in Jaffna have no authority to foreclose these commemorative events.